A new exhibition at the National Museum of Singapore highlights 700 years of Singapore history, including displays on Singapore archaeology and pre-colonial Singapore. Readers in Singapore may be interested in this talk on Angkor and Borobudur at the National Museum of Singapore. ICOMOS Singapore is pleased to invite all to our inaugural event and public lecture on 12th July 2014, Heritage Preservation of World Monuments and Archaeological Sites: Two Case Studies from Angkor and Borobudur by our special guest speaker, Professor Dr. Ichita Shimoda who is intimately involved in the conservation works of these two World Heritage Sites. If you’re still interesting in attending the Introduction to Singapore lectures starting this Saturday, senior curator Cheryl-Ann Low sent me some extra info for the first session that she’ll be presenting. I made a little mistake by saying that the lecture will focus on archaeological data, but it’s actually more than that, including literary sources like the Desawarnana (Negarakrtagama) and Wang Dayuan’s memoirs. The 14th century history of Singapore can be derived from various sources such as archaeological findings, accounts of people who witnessed Singapore centuries ago, records of neighbouring courts, and the Malay Annals (otherwise known as the Sejarah Melayu and Sulalatâ€™ul Salatina). 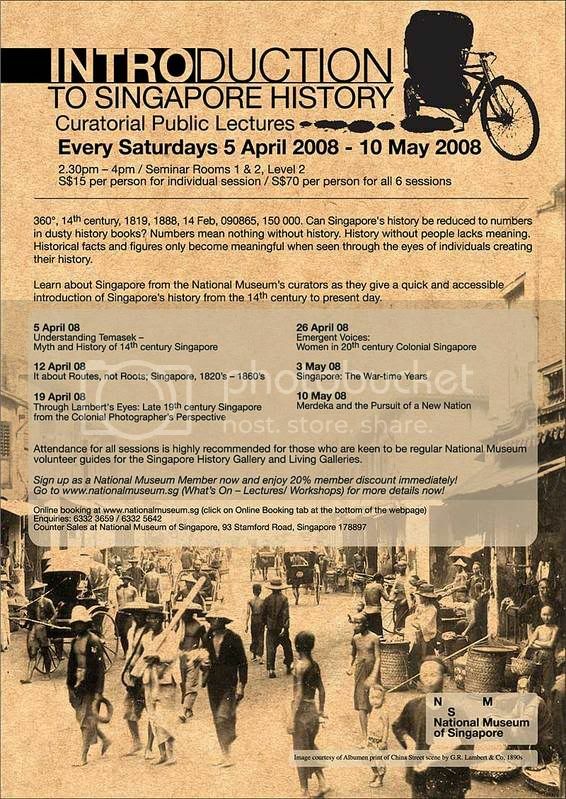 Anyone interested in the (pre)history of Singapore might be interested in this series of lectures to be held at the National Museum of Singapore. 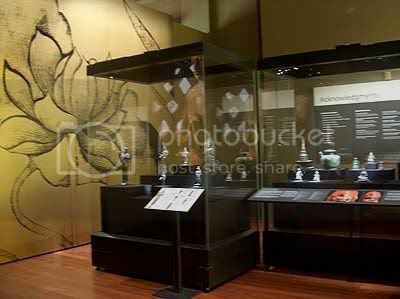 The first lecture held on April 5 entitled Understanding Temasek – Myth and history of 14th century Singapore should deal with a lot of the archaeological data available.